Street Art in Japan (And It’s Not What You Think! 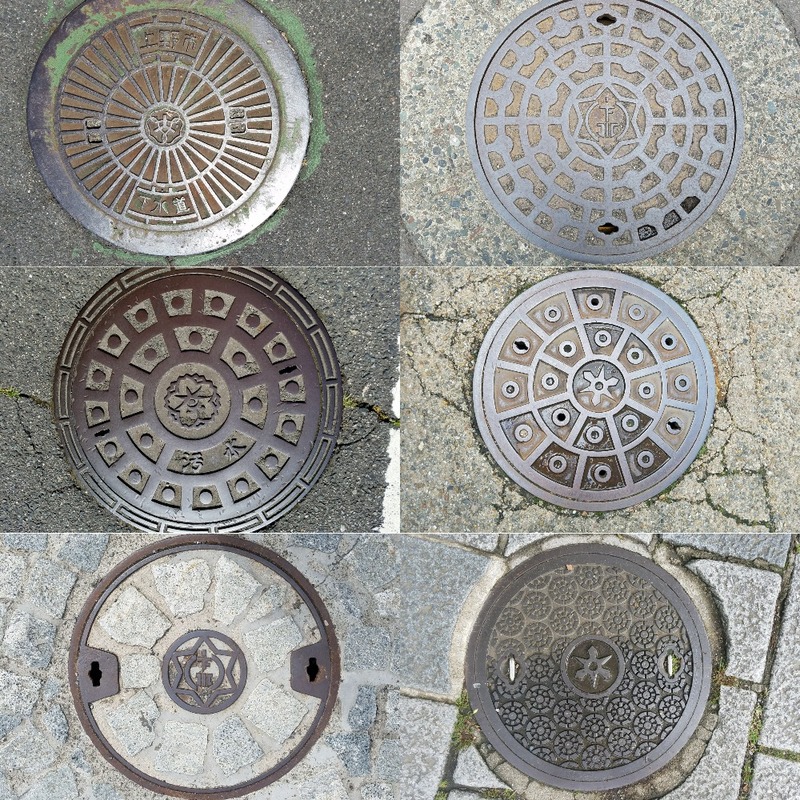 ): Japanese Man Holes! If you’ve been following my blog for a while, you probably know that I love finding street art wherever I go. I’ve discovered some pretty cool art in London, Quito, Bern, and Tel Aviv, to name some. So it was only natural that I kept an eye out for street art on our latest trip to Japan earlier this summer, too. But on our second day in the Land of the Rising Sun, while visiting the city of Matsumoto, I happened to look down, of all places, and realized that Japan had another kind of street art, one that I haven’t noticed anywhere else before. It actually had art built right into the street! 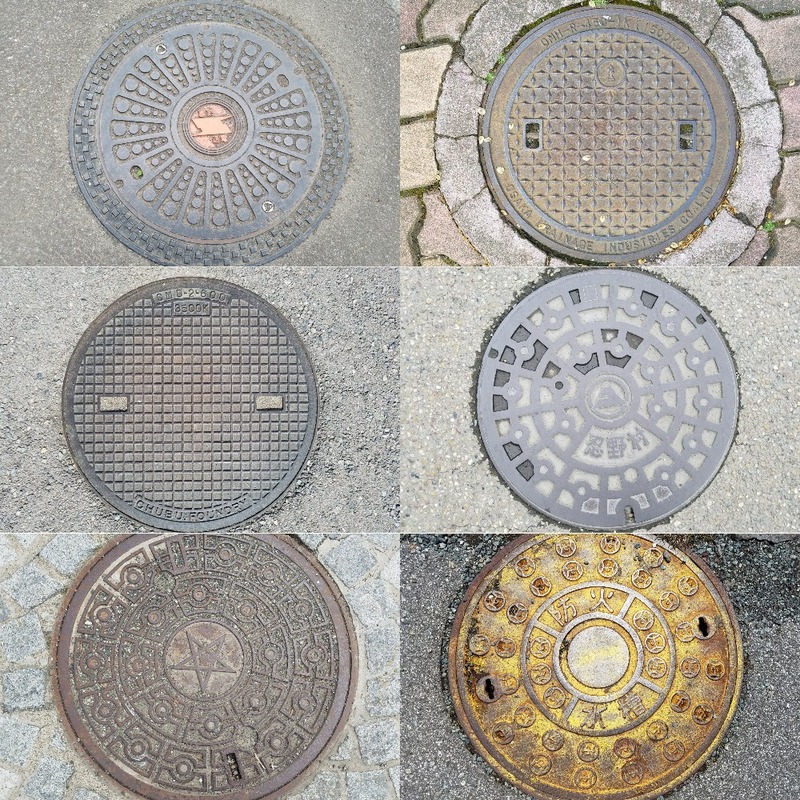 Do you recall walking down a street and stepping over manholes? 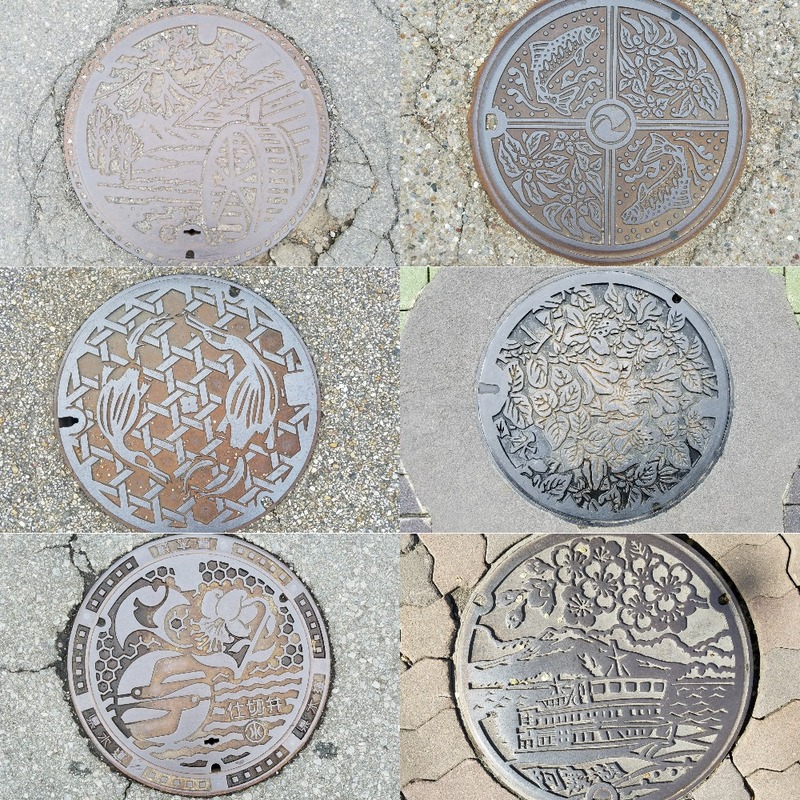 Did you ever even look at manholes covers, or notice them? No? Neither did I. Ever. Until I went to Japan. 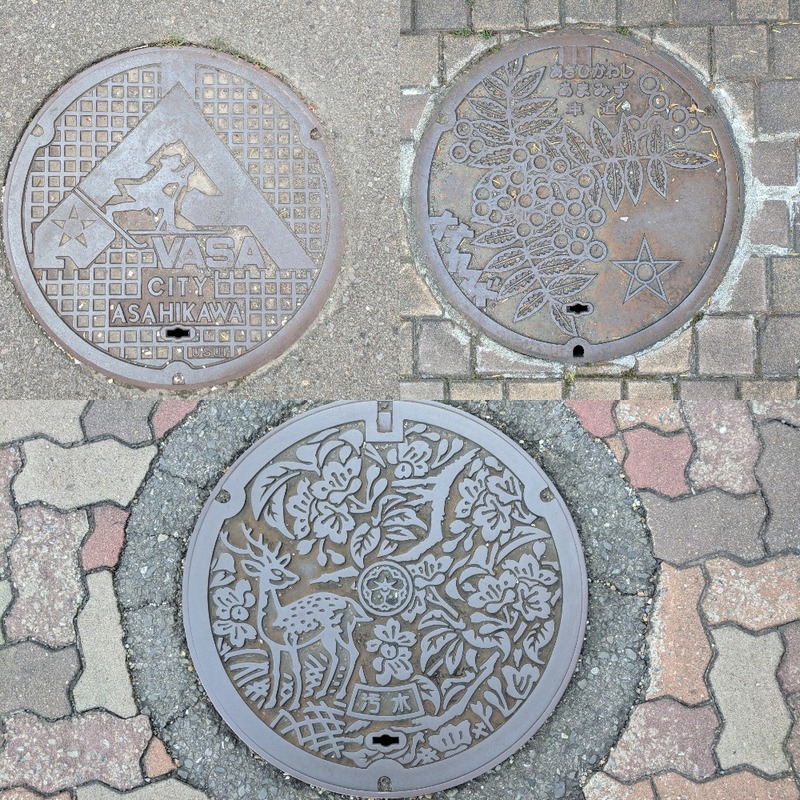 Because, as I was walking down one of Matsumoto’s streets, I happened to step over the most beautiful manhole cover I have ever seen. It was elaborate and beautifully painted in many different color. 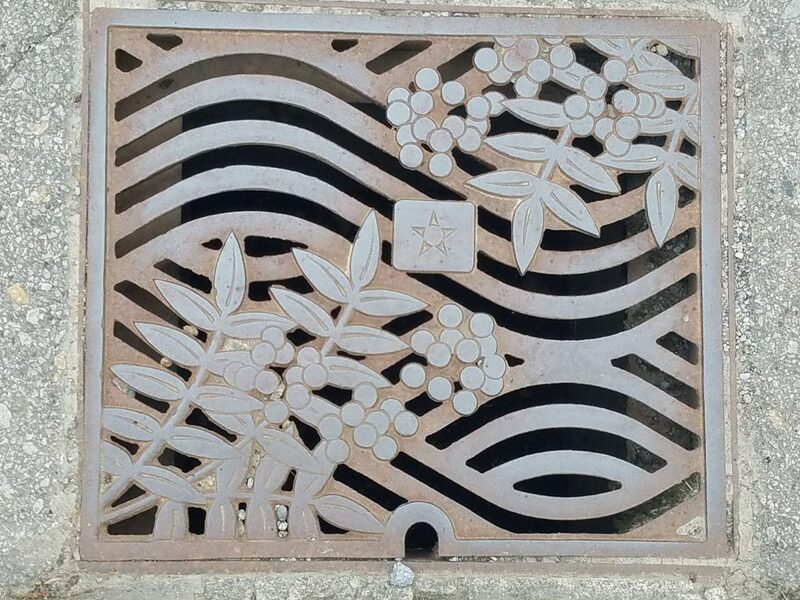 This manhole cover had local symbols all over it. It certainly got my attention! After that, I started looking. 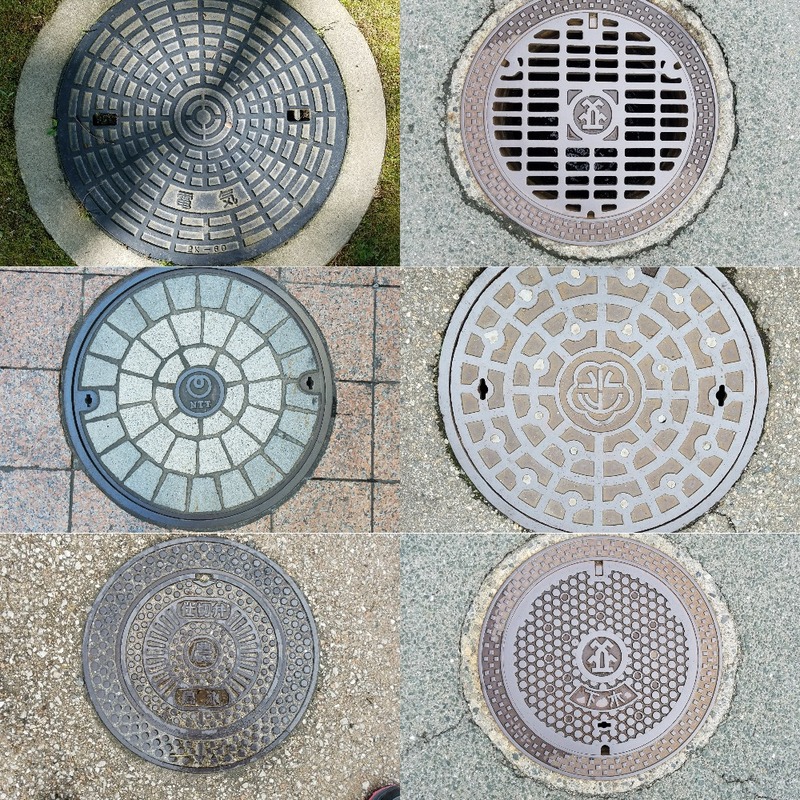 I noticed there were different kinds of manhole covers, for different utilities (water, electricity, sewer and so on), each with its own pattern. 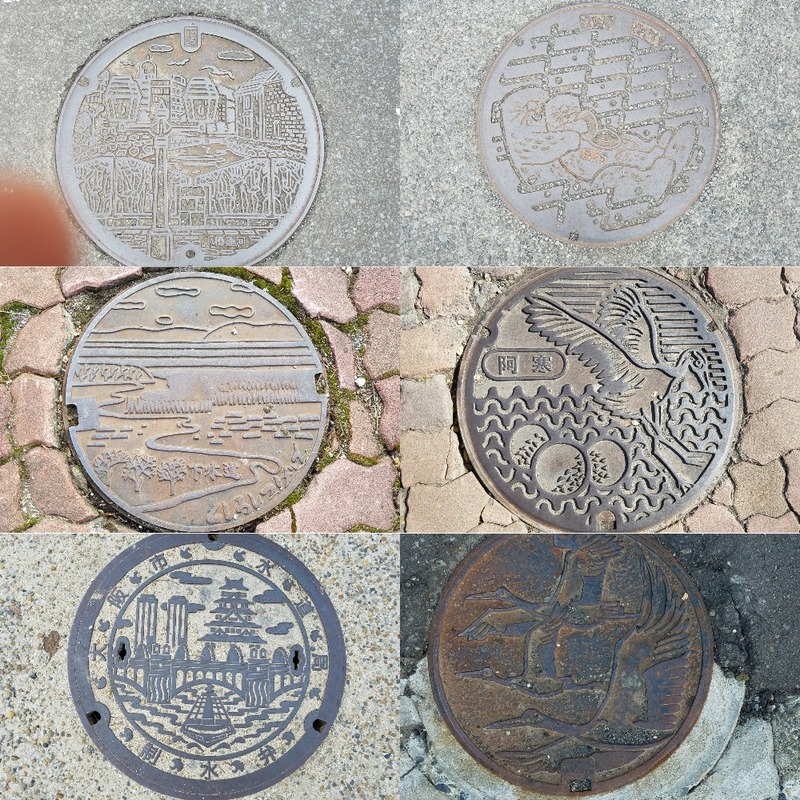 When we traveled from one place to the next, I noticed that manhole covers were different in each district or municipality. 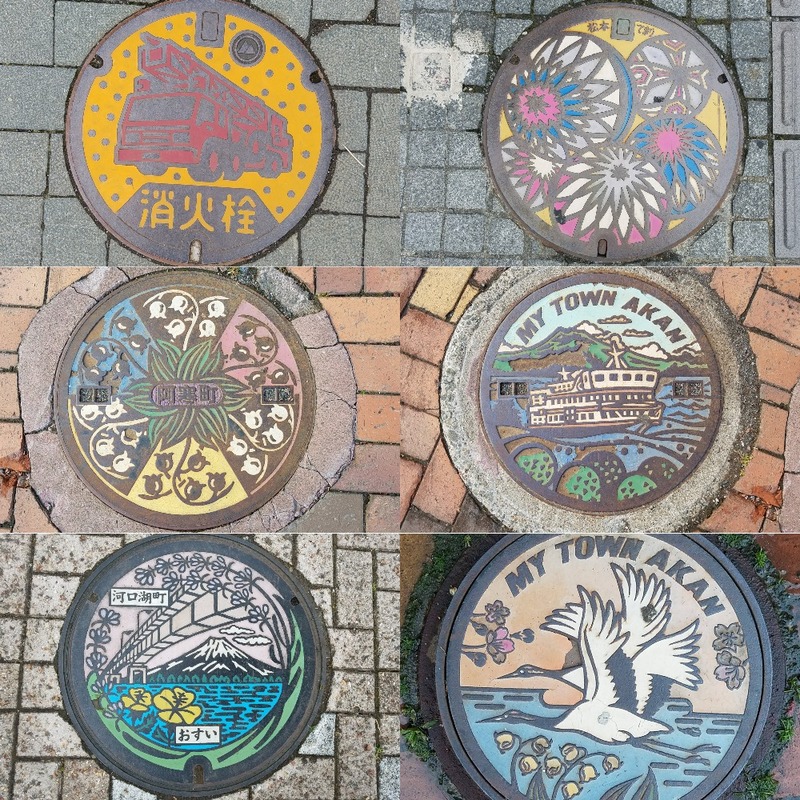 Someone, somewhere, has been paying a lot of attention to designing these manhole covers. Even the simplest among them were beautiful, symmetrical works of art. 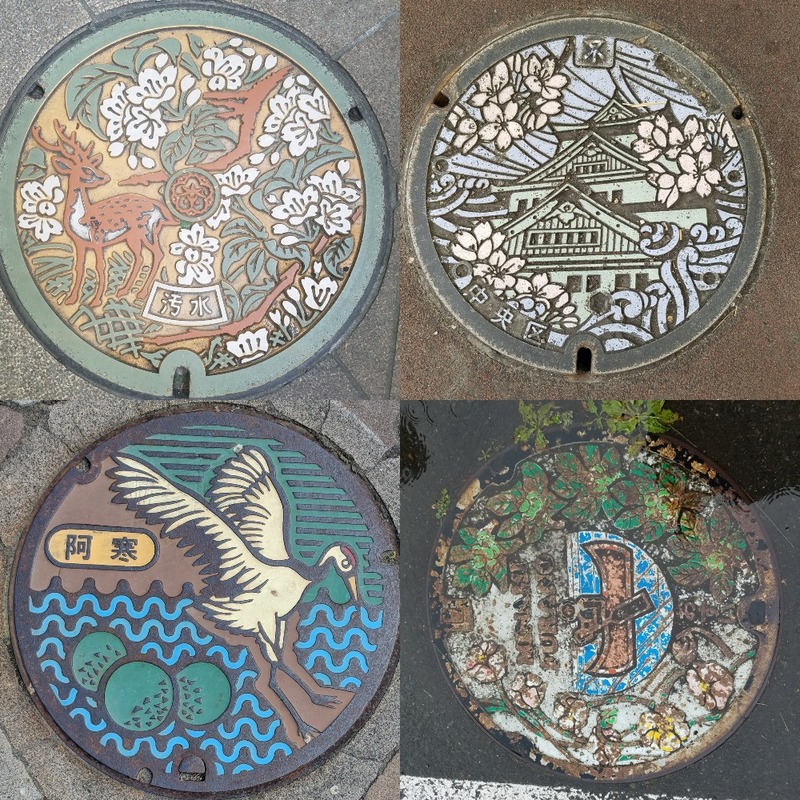 Manhole covers in Japan are aesthetic. They are meant to be noticed. They beautify the streets, and they are bursting with local pride. 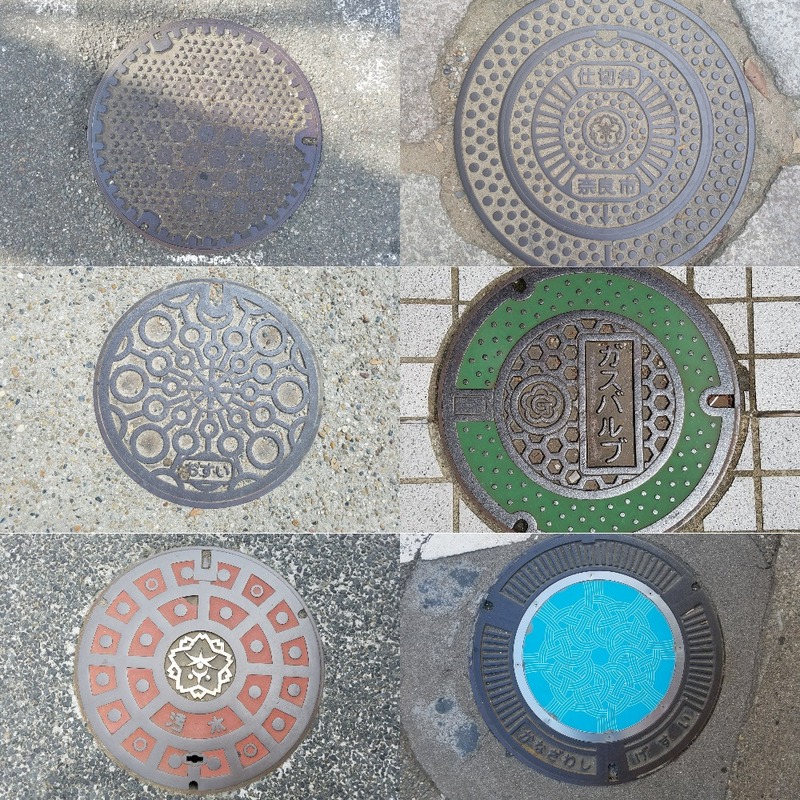 I started taking pictures of manhole covers and collecting them wherever I went. The kids enjoyed helping me, and pointed them out whenever I missed one. It became a fun game for us all! (You’d notice the bottom picture on the right is twisted. I couldn’t for the life of me get the computer to turn it, so just turn your head. It depicts a man rowing a boat). So, start opening your eyes when you walk down a street! you never know what you’ll find. And if you happen to visit Japan, definitely look down at your feet. You’ll discover that Japanese civil engineers and city planner are actually artists, too! This entry was posted in Traveling by ANY Texture. Bookmark the permalink.